From the time a servers goes to live environment its prone to too many attacks from the hands of crackers (hackers) also as a system administrator you need to secure your Linux server to protect and save your data, intellectual property, and time here server hardening comes into effect. Securing a server is much different than securing a desktop computer for a variety of reasons. By default, a desktop operating system is installed to provide the user with an environment that can be run out of the box. Desktop operating systems are sold on the premise that they require minimal configuration and come loaded with as many applications as possible to get the user up and running. Conversely, a server’s operating system should abide by the Principle of Least Privilege, which states that it should have only the services, software, and permissions necessary to perform the tasks it’s responsible for. We already covered some topics in earlier articles some of them are linked here. An administrator should be crystal clear about the primary function or role of the Linux server also should know what is on the server.Therefore, it is very critical to look at the default list of software packages and remove unneeded packages. Remove the unneeded packages from the list. 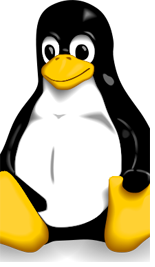 In Linux servers, some services are enabled to start at boot up by default. it is safe to disable all services that are not needed as they are risks security and waste of hardware resources. Read more. The inittab file /etc/inittab also describes which processes are started at bootup and during normal operation. For example, Oracle uses it to start cluster services at bootup. Therefore, it is recommended to ensure that all entries in /etc/inittab are legitimate in your environment. The default runlevel should be set to 3 since in my opinion X11 (X Windows System) should not be running on a production server. In fact, it shouldn’t even be installed. The above mentioned are only few steps for harding . There are many more steps like providing strong password , locking user accounts after too many login failures , restricting use of previous used passwords , setting banners etc. Hardening five or six servers can be done quite easily at a stretch but when the number of servers increases it just becomes tiresome and time consuming . So why don’t we think about a running a script that does all the hardening jobs and there wont be any waste of time. The script presented can be customized according to the requirement. Don t understand how exactly i got in here but i m really glad i ve found it. Hmmm… i m starting to believe google is begining to read my mind :) Great work! Thank You binbert for getting me on the awesome destination which was exciting .